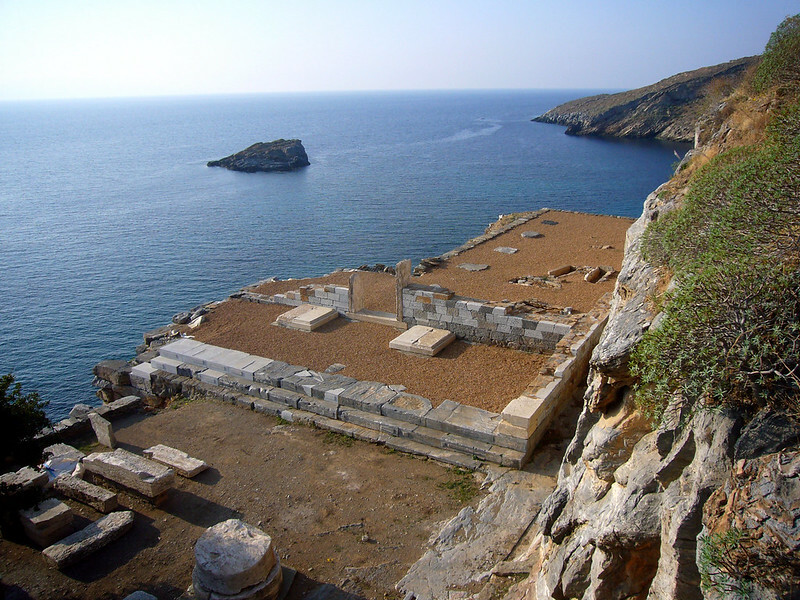 This exciting project, directed by a Scientific Committee under directorate of the Greek Ministry of Culture, offers visitors a glimpse into the past following the conservation, partial restoration and interpretation of the ruins of the ancient city of Karthaia, located on the island of Kea off the Greek coast. Karthaia was an important Greek city-state which flourished in the archaic period and was abandoned in Late Antiquity. The site is one of few examples in Greece where both the unspoiled natural landscape and the planning of the city are well preserved. History and nature are found in complete harmony here and the preservation and enhancement of the site’s unique history and special ecosystem were carefully planned to preserve this authenticity. The remains of the city include both temples and public buildings and are found on the southeast coast of the island which can only be reached by traditional footpaths or by sea. The remoteness of the site posed a challenge to the researchers and workers, which makes the careful and balanced restoration all the more impressive. This aspect of the work was noted by the jury, who stated: “The extensive research carried out at the site has enriched our understanding of the civilization which was settled there and has made accessible what was, before the intervention, largely remote”. This fascinating site was made more easily accessible by improving the footpaths and facilities and by making the ancient buildings understandable to the public. To achieve this, information signs were established along with a wooden pavilion providing information in the closest modern village. The renovation of the site and partial restoration of the ruins has resulted in increased interest from the local community in their own cultural past and has revitalised tourism to the area. “The creation of this archaeological park for a site from the 5th century BC is an outstanding lesson in recovering and highlighting the Classical landscape of Europe. The leaders of this project have an astute understanding of the significance of this site and have recaptured the association between the urban and natural landscape which was so fundamental to the ancient society who lived there”, the jury.